﻿ Pantai Inn, Kota Kinabalu | FROM $24 - SAVE ON AGODA! "Veryyyy good and clean place"
Have a question for Pantai Inn? "Room is new & clean after renovating, good location, value for money!" 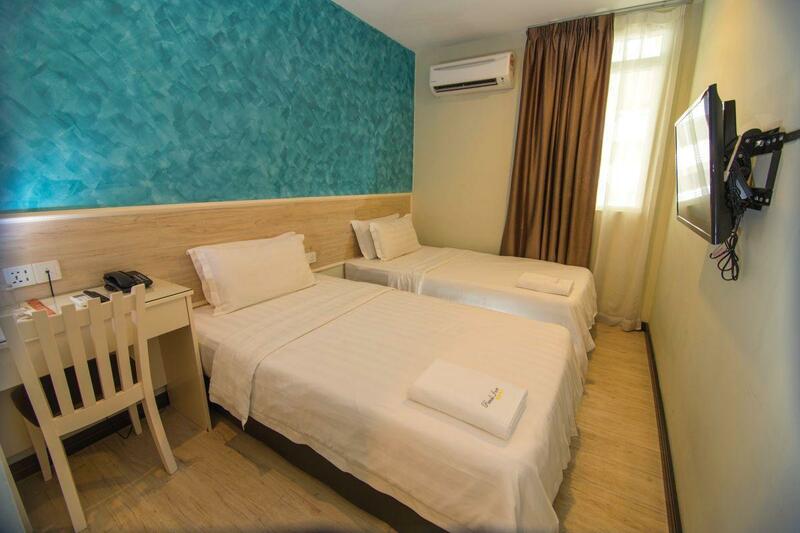 "Pantai Inn is located in the heart of Gaya street (next to T..."
Situated in Central Business District, Pantai Inn is the perfect place to experience Kota Kinabalu and its surroundings. The hotel is not too far from the city center: just 0.8 km away, and it normally takes about 15 minutes to reach the airport. With the city's main attractions such as Dataran Desoka, Gaya Street Sunday Market, General Post Office within close reach, visitors to the hotel will just love its location. Offering hotel guests superior services and a broad range of amenities, Pantai Inn is committed to ensuring that your stay is as comfortable as possible. The hotel offers access to a vast array of services, including free Wi-Fi in all rooms, taxi service, 24-hour front desk, Wi-Fi in public areas, car park. All guest accommodations feature thoughtful amenities to ensure an unparalleled sense of comfort. Besides, the hotel's host of recreational offerings ensures you have plenty to do during your stay. 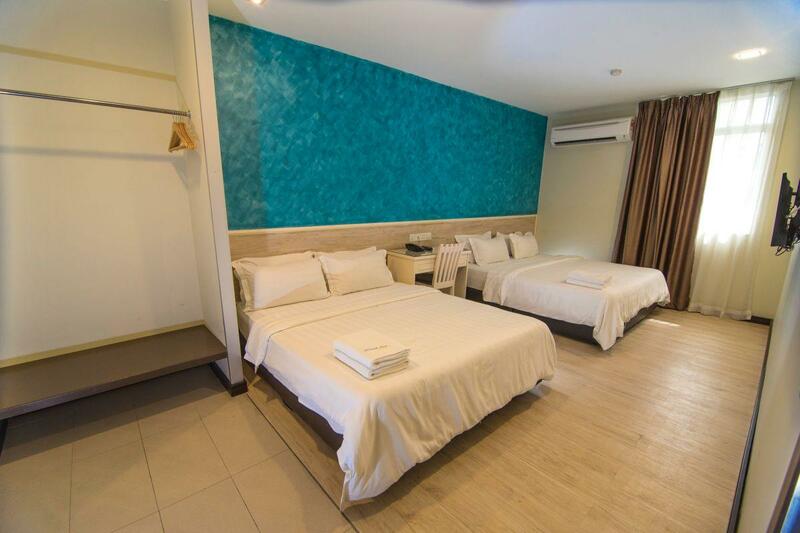 Pantai Inn is an ideal place of stay for travelers seeking charm, comfort and convenience in Kota Kinabalu. Pantai Inn is located in the heart of Gaya street (next to Thien Thien restaurant) with access to many nice restaurants. It was only a few minutes walk from the bus stop where we took the bus to Brunei and around 10 minutes to Suria Sabah mall. The room was clean and comfortable. The shower head was lovely but we couldn't enjoy it without hot water. Took a long time for the water to become mild warm. Staff were friendly and helpful. I'm actually booked Junior, Standard Double and Twin. 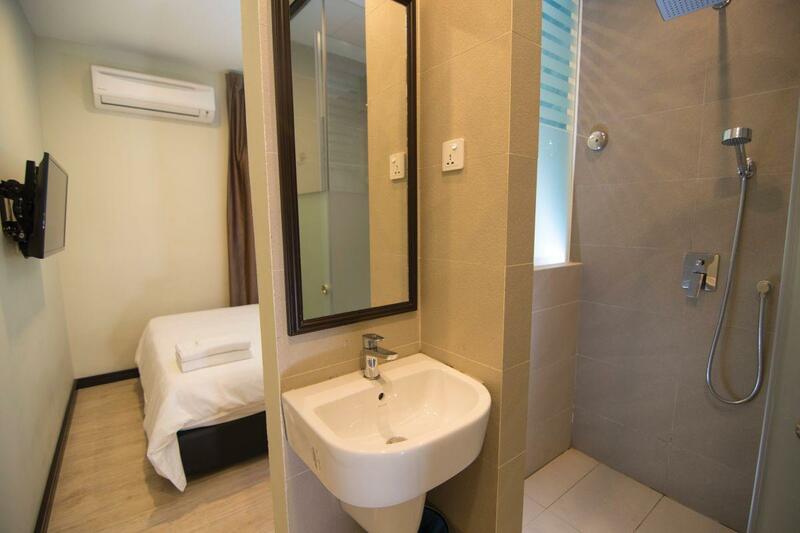 Expect only size 2 star room size (not huge) but very clean & tidy, no funny smell, room cleaning service everyday, small amount of refundable deposit required, hotel situated right at Gaya Sunday Market, 20 mins walk to Jesselton Jetty and Suria Mall Sabah. Recommended hotel! a very good, clean, value for money hotel which offers great location, and great shower. Couldnt find any downside to the hotel with the price rate given. Perhaps lack of parking area is the only one. Definitely will consider to stay again for future. This hotel has the best location in town. So many restaurants nearby to choose and dined in. Shopping malls are also a short distance walk from the hotel. The hotel staff was polite & friendly. Room & toilet was very clean, air conditioner was in tip top condition. Water dispenser can be found on every floor, such a convenient !! Highly recommended hotel and will visit again on my my next trip to Kota Kinabalu soon. Best budget hotel that i'd stayed. Booked a Junior Suite room Like this hotel very much, smooth check-in, very friendly staff, aircond tip top condition, clean toilet and spacious room. Water dispenser just outside the room. Location in Gaya Street. Many restaurants can be found around the hotel. Nothing to complain about this hotel. Definetely will stay again on my next trip to KK. Room may be change at last minutes and room facing roadside is too noisy. Room may be cancelled at last minutes. 1.Room is quiet during night. No sound pollution from street but can hear people walking outside of door. 2. Staff is helpful especially the male staff who is housekeeping / maintenance. He take action fast when i told him the plug in the room can't use. Unfortunately he could not change the bulb inside bathroom because they do not keep stock. 3. The room is clean, bedsheets is clean too. The only problem is the rack of bed is noisy. The rack makes sound even I turn my body slowly. 4. Location is definitely good. Walking around 10 minutes or even earlier could reach suria. Grab to imago only around RM5. Worthy. Pros: Location is ok. Nearby main attraction. Gaya market, walking distance to sinsuran market, filipino market, seafood eateries, todak square, suria mall and jesselton point (jetty to nearby island). Cons: Room small and not clean. The bathroom has sharing door with toilet which separated from each other. If someone used bathroom has to slide the door and this makes the toilet becoming open. Imagine if someone are taking bath and also others people urgent needs use toilet same time. Anyway, room is small and limited space to perform solah. No kettle provided but there are flask provided which you can fill drinking water from coway machine. Not to forget before check in, please bring in copy of confirmation booking slip (my first experience under agoda) and pay deposit of RM30 Conclusion: Not suggest becoz u can get better hotel with same price and more comfortable room. This hotel is overrated. Hotel required your printed copy of the booking voucher which is a fuss because I booked it using my smartphone and hence there was no voucher printed. They also requires you deposit RM30.00 in cash which is refundable upon checkout. It was a small room with the sink outside the bathroom. It was a very nice stay for a very affordable price. The room is small but clean and tidy, has hot shower, clean bed, nice staff and good location (. I dont think there's any hotel out there that provide rooms like this with this kind of price. Value for money! There's only one thing to improve, I hope they can add more movie channel and fix the movie channel with clearer view.. Anyway, it's excellent.. It's my second stay here and thank you to Pantai Inn!